The Marvel Cinematic Universe is full of charismatic, lovable characters. From Chris Evans’s portrayal of the admirable Captain America, to Chris Pratt’s goofy Star-Lord, the actors behind our favorite superheroes all bring a unique style to their roles. 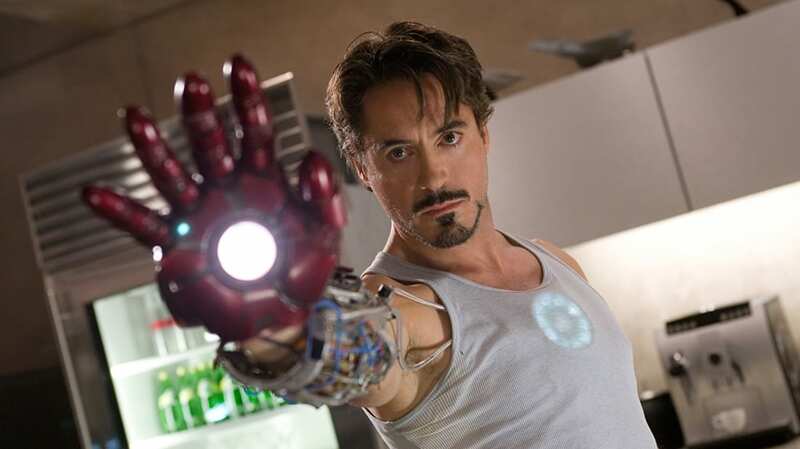 But the most beloved of them all may be Robert Downey Jr.’s Iron Man, whose 2008 film kicked off the MCU Phase One. Though Iron Man made it seem as if Tony Stark was the role Downey was born to play, Marvel actively rooted against casting him. Years of bad publicity and multiple arrests related to drug and alcohol abuse and excessive partying made the Oscar-nominated actor a risk for the studio. (Downey lost roles in Wild Things and Woody Allen's Melinda and Melinda due to insurance issues, and was fired from Ally McBeal following a 2001 arrest.) But Jon Favreau, who directed Iron Man and Iron Man 2, knew that Downey was the right actor for the job. Though the studio rejected the idea of casting Downey several times, Favreau shared that, "It was my job as a director to show that it was the best choice creatively ... and now the Marvel Universe is the biggest franchise in film history." "Everybody knew he was talented,” Favreau continued. “Certainly by studying the Iron Man role and developing that script I realized that the character seemed to line up with Robert in all the good and bad ways. And the story of Iron Man was really the story of Robert’s career." In 2009, Downey earned his second Oscar nomination for Ben Stiller's Tropic Thunder. In 2012, he was paid $50 million to appear in The Avengers and is currently the third highest-paid actor in the world.